Camden County authorities are offering a reward for information that leads to the arrest of Tiffany Lewis, 26, of Barrington, according to media reports. 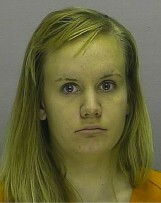 Lewis, who also uses the name Tiffany Conover, is 5-foot-5, weighs 125 pounds and has blue eyes and blond hair. She reportedly has addresses in Barrington and Wildwood. Authorities say Lewis skipped a probation violation hearing March 15 in Superior Court in Camden and is wanted by the Camden County Sheriff’s Dept. Anyone who knows Lewis’ whereabouts should contact the Sheriff’s Special Investigations Bureau at (856) 225-5283 or the Camden County Sheriff’s tip line at (856) 225-5555. Callers can remain anonymous. 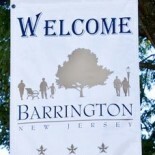 This entry was posted on April 16, 2013 by Barrington Bulletin in Crime, Safety and tagged wanted.